Nathalia Arja in George Balanchine's "Emeralds." Photo by Alexander Iziliaev, Courtesy Miami City Ballet. Whether it's a wardrobe malfunction or a spectacular, opera-house–sized fail, onstage mistakes happen to everybody. See how these four professionals survived their worst mishaps—and what they took away from them. Baca in Ben Stevenson's Cinderella. Photo by Alexander Iziliaev, Courtesy Pennsylvania Ballet. 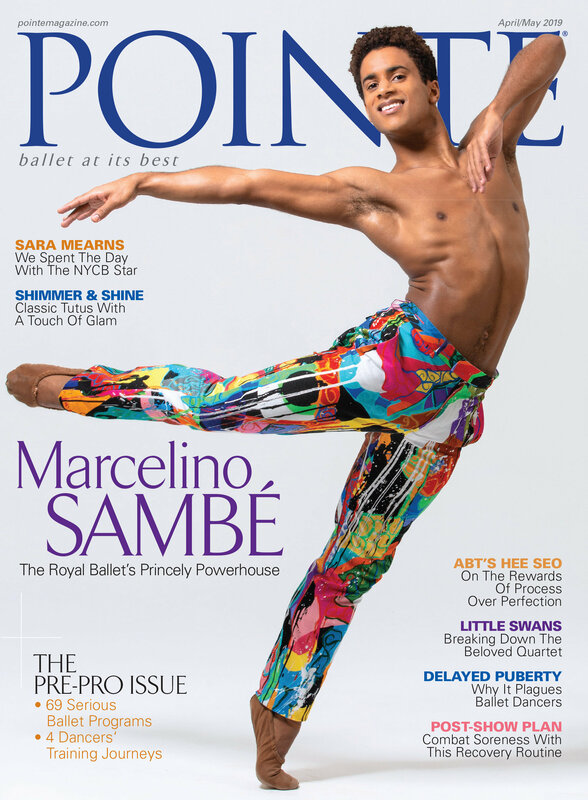 "There I was on my very first day at the Metropolitan Opera House: on my hands and knees, center stage," recounts Pennsylvania Ballet principal Sterling Baca. He had joined American Ballet Theatre from the ABT Studio Company two weeks prior and didn't see a crucial casting sheet for the Don Quixote dress-tech rehearsal until minutes before it started. 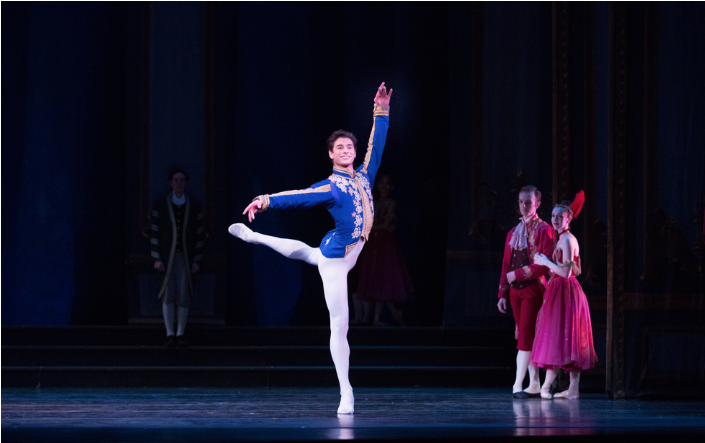 In a domino-like sequence of unfortunate events, Baca had managed to get only half-dressed, and he missed his entrance and his character's dance with Kitri. Then he remembered too late that he was also supposed to catch Basilio's guitar. He turned around from setting down a tambourine to see the guitar already soaring through the air. He dove for it, but it grazed his fingertips, hit the floor and broke. Baca had some literal and metaphorical pieces to pick up and apologies to make to the wardrobe and props departments, artistic staff and his fellow dancers. Luckily, everyone understood that he was new and "showed mercy," he says. The Lesson: Although Baca can laugh about the incident now, he warns that "it only turns into a joke when you don't do it again." His advice? Double- and triple-check every single piece of paper on the call board. It's a humid afternoon in New York City, and I'm sitting in a crowded restaurant on 29th Street and Seventh Avenue waiting to interview an artist I've admired since I first started dancing—this is a major fan-girl moment for me. When Mia Michaels arrives, she enters with the kind of confidence and energy that makes people stop and take notice. She greets me with a warm hello and a tight hug. For an artist with a resumé like hers, I'm surprised by how easy she is to be with. "Do you mind if I get a coffee?" she says immediately. She's going to need it—after our interview, she'll rush directly to her cover photo shoot before teaching a master class at Broadway Dance Center this evening. Tomorrow, she'll be walking the New York Fashion Week runway for the Chromat fashion label, and later this week she'll be on a flight to Chicago for another master class, before finally heading to Tahiti for the first vacation she's had in months. "It's been a very intense year for me," she says. There are certain dance teachers out there who have a gift for making students feel loved, cared about, capable, encouraged and inspired—all at the same time. They're beautiful sparks of light in the midst of this competitive and at times exhausting industry. Three of those special souls happen to have a gigantic reach through conventions and television, and have somehow made each and every one of us feel like they're our second moms. Don't believe me? Go take (or observe) class from anyone of them and then try to tell me they don't love you as their own! Check 'em out below, and then share a time one of them said something that made you feel important and validated! The wait for Disney's reimagining of The Nutcracker is over. Although The Nutcracker and The Four Realms is not a full-length ballet, woven into the plot is a five-minute performance by megastars Misty Copeland and Sergei Polunin alongside 18 supporting dancers, with a CGI Mouse King moved by jookin sensation Lil Buck (aka Charles Riley). Royal Ballet artist in residence Liam Scarlett led the film's choreography in his first major motion picture experience. "It was a call I didn't expect to get," says Scarlett. "I really am the biggest Disney fan, so I couldn't believe it!" Being a dance teacher is hard work, but at the end of the day, it's one of the most gratifying jobs you could ever have! You're spreading the goodness of dance into the hearts of young children—it's positively magnificent! The world needs love right now, and because you're giving it with all your hearts, it's only fitting you get a lot of it in return! Here's a reminder of some of the most the gratifying dance teacher moments that make it all worth it! Feet are game changers, people! Teach your dancers how to use them correctly, and they can be one of their most powerful tools! Fail to do so, and they'll become, well, a liability to them. Here are five things every dancer should do each day to achieve blue ribbon–worthy feet! For whatever reason, dance-educator skills and craft skills seem to go hand in hand—that and the fact that every one of you is a serious overachiever. We know that for many of you the idea of picking up a bag of generic grocery-store candy is BORING. So, to help you go the extra mile while flexing your craft skills, we've rounded up five deliciously adorable Halloween-treat ideas for you to take to dance class this October 31! Tell your kids they can thank us for their joy 💁. Take a picture of the treats you make for class and tag us in them! We want to see your masterpieces!